It’s a fascinating time of year in the F1 world. 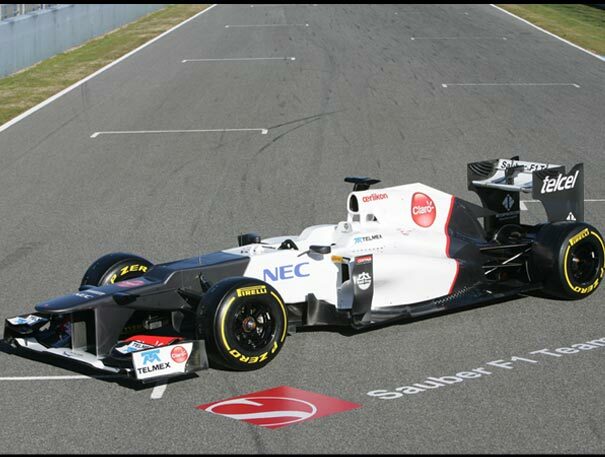 The teams have all (bar Mercedes, Marussia, and HRT) unveiled their 2012 designs, and we have just witnessed the first pre-season test in Jerez this past weekend. May I start off by saying how great it feels to see and hear F1 tracks ripping around a circuit again. It seems that every year in F1, the season goes by far to quickly, and the off-season lasts a lifetime. Fortunately, the 2012 F1 cars have left their windtunnels and have just finished blasting around the Jerez circuit for the first time this year. After the team launches of the 2012 contenders, there was a massive buzz around one area of the car in particular -the nose. People have called then duck noses or platypus noses, and they are a result of new safety regulations this year concerning the legal height of the nose. The end result is what is now being called a “stepped” nose, with a dramatic drop in the height of the nose just beyond the drivers’ feet. The above photograph of the 2012 Sauber C31 is a perfect example of a stepped nose, with the steep incline just before the front suspension. All teams who have launched their 2012 cars have gone with similar designs, except for McLaren, who’s MP4-27 has a nose that gradually slopes downward to the legal height. 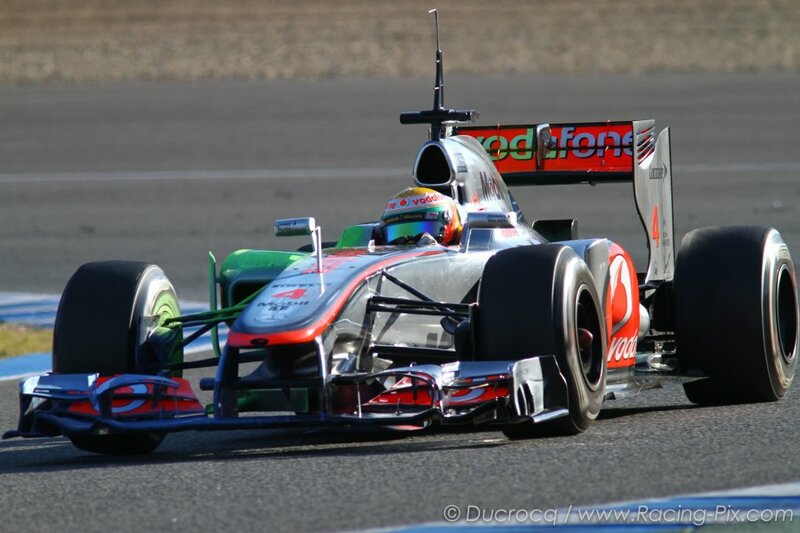 The MP4-27, seen here with green aero paint, has a gradually swooping nose. It would be unwise to say that McLaren have missed an opportunity with the stepped nose. Over the past few years, McLaren have typically had a aerodynamic strategy that requires a lower nose, where as other teams have implemented high, straight nose designs over the past two seasons. I imagine that McLaren must have explored the possibility of a stepped nose, and decided that their current design was the wisest decision. For a company that has won a quarter of it’s races, mistakes like these simply do not happen. It is almost impossible to make any predictions as to which car is the quickest after the first test. However, as F1 fans, we all love to speculate and reason out which cars look strong. In my opinion, the Lotus E20 has looked stellar. In the hands of Kimi Raikkonen, who has been absent for F1 for two years, and rookie Romain Grosjean, the Lotus has been the fastest car on several occasions this weekend. I was impressed with the way the drivers were able to pump out quick, consistent lap times without any falter over the course of the weekend. 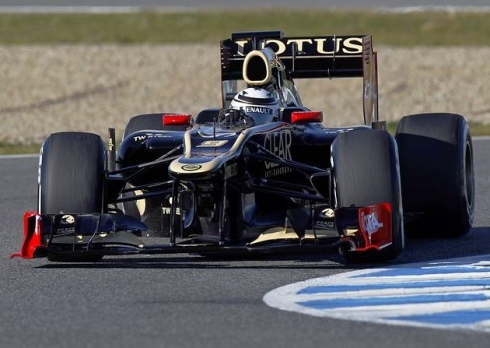 A stable, reliable car is important in F1, and so far Lotus have shown that they have that locked down. As I said earlier, it would be pointless to try to figure out which car is quickest after the first test, but the Lotus has looked particularly impressive. What is most important this year will most likely be the amount of downforce at the rear of this car. Because blown diffusers were banned after the 2011 season, drivers left with only 70% of the rear downforce they enjoyed at the end of 2011. In my opinion, the team that best cracks the solution to the problem of rear downforce will have the best shot at being champions this year. Teams have obviously put a lot of thought and resources into the front of the car with the stepped noses and the beautifully complex front wings as seen on the above Lotus E20, but the key is the rear downforce. One important aspect of the loss of rear downforce is that it may benefit drivers who are gentle with their tires. Wheelspin and loss of traction is more likely with the decrease of grip at the rear end, and this could give an advantage to drivers like Jenson Button and Sergio Perez, who are known for maintaining the longevity of their tires. In my opinion, this could give Jenson an advantage over the notoriously aggressive Hamilton, who may face another season in Button’s shadow. Will the ban of blown diffusers help Jenson get an edge over his team mate? All in all, fans of F1 should be massively excited for this season. The radical new designs, new rookies and the return of Raikkonen, and the lack of blown diffusers should make this season exhilarating. There will be a record 6 champions on the grid this season, each of whom will be pushing their hardest in an attempt to add to their tally. With only a month until the first race in Australia, time seems to be crawling.